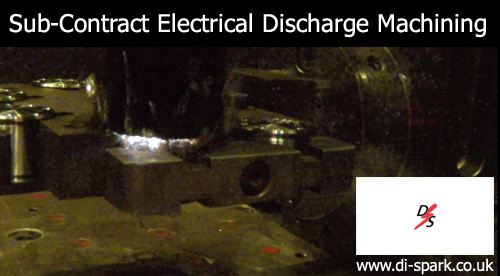 Dedicated Electrical Discharge Machining Services - wire & spark EDM cell operating 24 hrs per day, 7 days per week. Di-Spark's EDM-service is certified to AS9100 Revision D and ISO9001: 2008. We are signatories to the SC21 supply chain improvement program for aerospace EDM machined components. Aerospace EDM Machining certified to AS9100 Revision D. Running around the clock, Di-Spark's EDM machining service benefits from over 40 years experience in electrical discharge machining. Wire & spark erosion machining takes off where traditional machining methods become challenging, and 21st century manufacturing methods are required. Wire electrical discharge machining services, running around-the-clock. Di-Spark operate automated wire electrical discharge machining services, certified to AS9100 and ISO9001: 2008. We are an SC21 company with vast supply chain management experience. Manufacturing high volume 2-dimensional components, such as high quality washers, shims, internally splined washers, externally splined washers and spacers, suitable for AS9100 Aerospace. Di-Spark’s electrical discharge machining processes are available in 2 flavours – Spark EDM and Wire EDM. The machining principles are the same for each process, but the application of each of these EDM machining processes are somewhat different. With both processes, material is removed from the machined component by a surge of current discharged from or between electrodes. The electrodes are separated by a dielectric liquid, along with the work-piece. All machining processes at Di-Spark are certified to ISO9001 and AS9100. We are certified as ‘Precision engineers specialising in machining complex prismatic components and mechanical sub-assemblies to customer specifications, using advance machining technologies such as multi-axis milling, multi-axis turning and electrical discharge machining (EDM). Our Quality Management system observes the above certification criteria and we also employ the use of an MRP (Material Resource Planning) system to assist removal of waste, bottlenecks and assist management of supply chain. 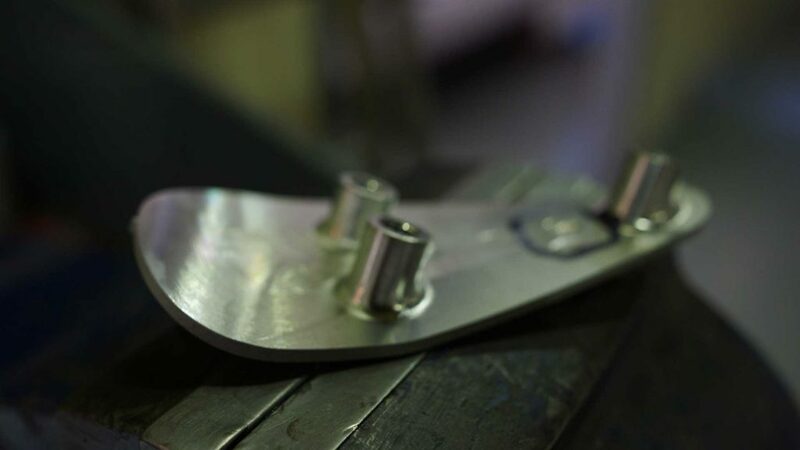 With Wire Electrical Discharge Machining, a specialist wire is held between 2 electrodes and the wire produces the current – which effectively becomes a cutting edge. The wire runs from a spool, which constantly feeds the wire, avoiding erosion breakage to the wire during the EDM machining process. The latest Wire Erosion EDM machines offer computer numeric control (CNC), which automates wire EDM operations to new levels. One of the most overlooked facets of successful wire-cutting is the water that is used as the dielectric, despite the fact that it is integral to the EDM process. The main considerations for water quality are filtration, de-ionisation and temperature. Wire EDM machining is the ideal high-volume manufacturing process for the production of high quality 2 dimensional parts. These are numerous, but are typically aerospace washers, shims, internally splined washers, externally splined washers, gears and spacers of varying specifications. These parts can be stacked and machined in bulk, to high degrees of machining finish and accuracy. They can be manufactured from anything from aluminium to Stainless Steel to Tungsten Carbide. Wire electrical discharge machining is a sensible process to employ when machining thin-walled components. The non-contact nature of wire erosion exerts no discernible force upon the work-piece, which ensures that the integrity thin walled delicate components remains intact. 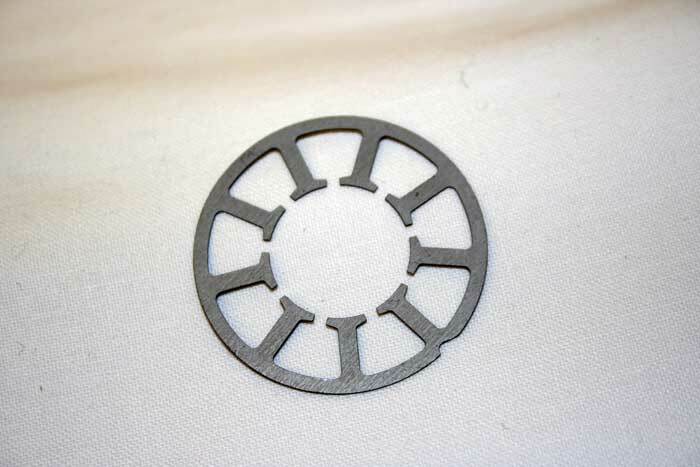 Wire Electrical Discharge Machining is ideal for the machining of thin-walled components such as satellite parts. 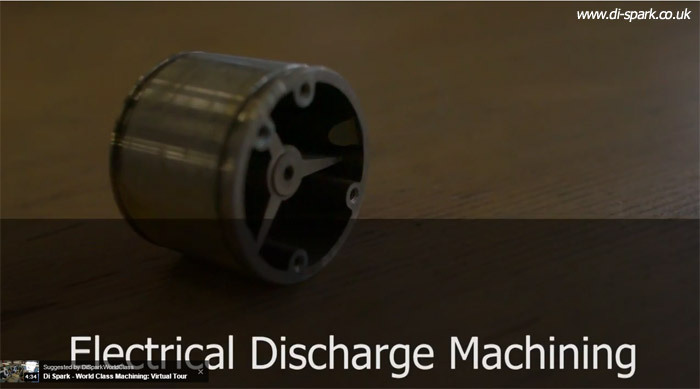 Components may have received 5 axis operations prior to being electrically discharged – making full use of Di-Spark’s multi-process machining capability. Our Wire EDM division can offer a vast machining capacity with over 1000 hours available each week, from 24 hour, 7 days per week running of our wire EDM machining service. Wire Erosion can handle any type of work from high volume to small batch and one-off requirements. Spark Erosion machining uses a machined die as an electrode, with the electrode and work-piece submerged in an oil based dielectric fluid. The die is sunk into the work-piece – hence the nickname, ‘die sink’. The die electrode carries the electric current which erodes away material at the surface of the work-piece. The latest Spark Erosion EDM machines offer computer numeric control (CNC), which automates Spark EDM operations and also robot-arm tool change capability. Modern day Spark Erosion is a truly automated machining process. Spark Erosion is used to manufacture highly accurate, precision components. Di-Spark use spark erosion to manufacture satellite parts, medical devices, oil & gas industry components, aerospace mechanical sub-assemblies and formula 1 components. We also used this innovative machining process to manufacture components for the check valve, severe service valve, energy generation valve and industrial valve sectors. As with Wire Erosion, Spark Erosion is the ideal machining process for the machining of hard or hardened materials. As part of a multi-process machining strategy, work-pieces can be initially machined using 5-axis machining, subject to post machining hardening processes, with final machining operations carried out using the spark machines. With ultra hard materials such as inconel and Tungsten Carbide, Spark Erosion is often used as the sole machining process – or, married with Wire Erosion operations.